While Lady Gaga lays down, cocooned in what we can only imagine is a large translucent egg, somewhere in Vancouver, listening to David Bowies new song, little monsters are iPod shuffling to Lady Gaga's hits, paws up, getting all gussied up for what can only be one elaborate spectacle. If you're lucky enough to have tickets, thank the glam gods. Mother of all monsters is kicking off the North American leg of her Born This Way Ball tour, which began in Seoul, South Korea, in April, with two concerts at Rogers Arena, Friday and Saturday. You might even have access to the Monster Pit, for a premium viewing experience. "The Born This Way Ball is an Electro-Metal Pop-Opera; the tale of the Beginning, the genesis of the Kingdom of Fame. 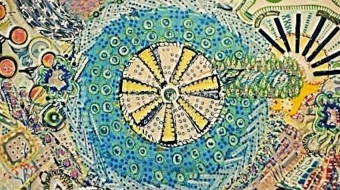 How we were birthed and how we will die celebrating,” said the 26-year-old of the tour, which ranked top grossing tour by any female artist worldwide by Pollstar's 2012 Mid Year report, in a blog post. The tour comes with 800 pounds of liquid CO2 for a fog-like effect, 40 "massive" wardrobe cases and 50 different pairs of shoes, according to Globe and Mail. "The Haus of Gaga and I have worked for months conceiving a spectacular stage,” said Gaga. Lady Gaga will perform her latest album Born This Way with music from both Grammy Award-winning albums The Fame and The Fame Monster, which, combined, have sold 15 million albums worldwide. 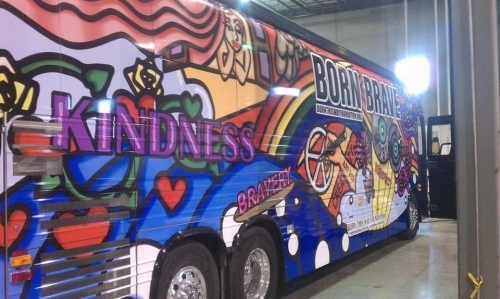 Following her is the Born Brave Bus where youth can get councelling at the BTWBall BornBrave pre-show, "to feel connected and learn about civic engagement opportunities", explained Lady Gaga's official site. It's "a fun tailgating experience for monsters to unite", tweeted the star, adding that there will be food and games and DJ music. "At the #BornBraveBus you have access to professional private or group chats about mental health, depression, bullying, school & friends," wrote Gaga on Twitter. "#BornBraveBus Is a place where mental health + depression are taken seriously w/ no judgement, FREE real help available to all #BraverWorld." One determined Lady G fan, Celina Dalrymple, furniture designer in Burnaby, is popping up all over news media, with her bedazzled chair, which she has worked on for most of last year, in the hopes of gifting it to Lady Gaga. Dalrymple does not have tickets to either of the shows, according to the Georgia Straight, but is set on offering the item to her idol. 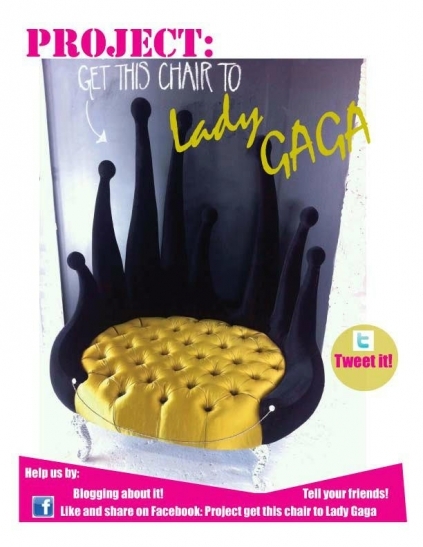 A Twitter campaign has been launched to "get this chair to Lady Gaga". The Born This Way Ball is Gaga’s first tour since the release of her album Born This Way, which has sold nearly 6 million copies worldwide since its release in May 2011, according to Lady Gaga site. "Lady Gaga’s Born This Way Ball is effortlessly brilliant in both the visual and musical sense," wrote Hong Kong Daily News while Seoul Daily said that with her "splendid and unprecedented stage, she is the absolute queen of pop!" Her new album ARTPOP is due this year.